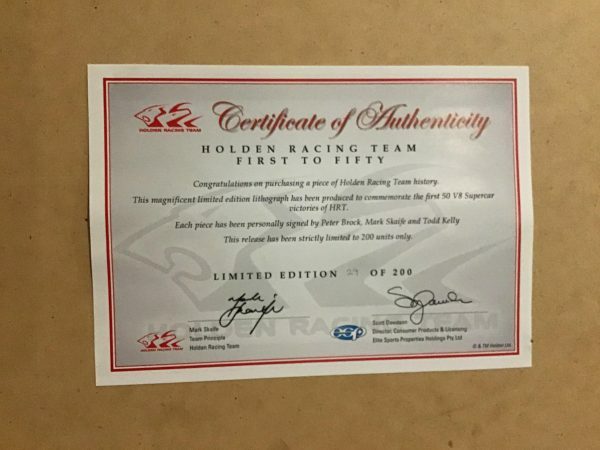 Limited edition – number 29 of only 200 FIRST TO FIFTY lithographs produced. 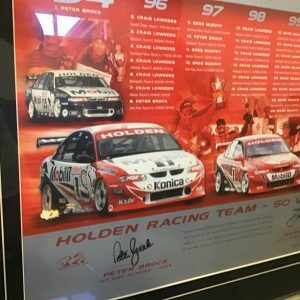 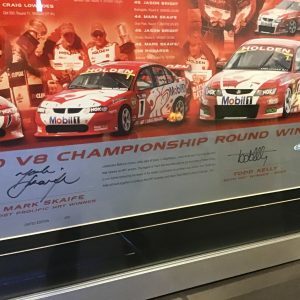 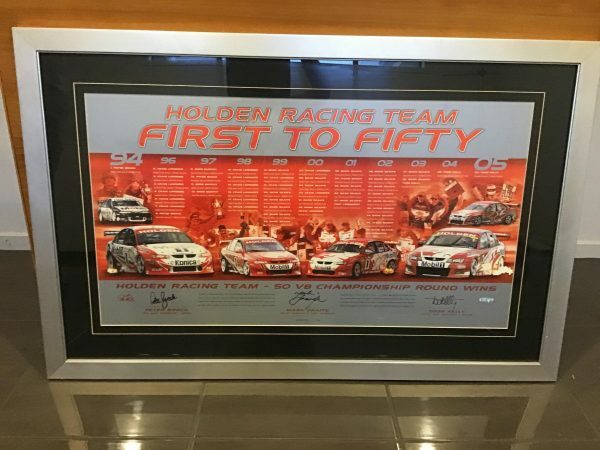 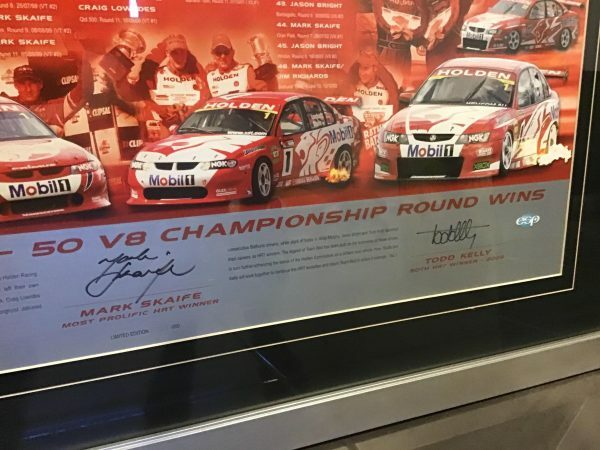 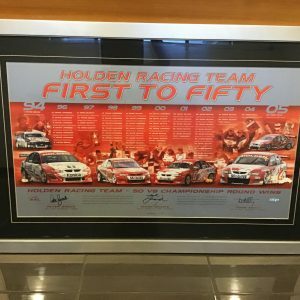 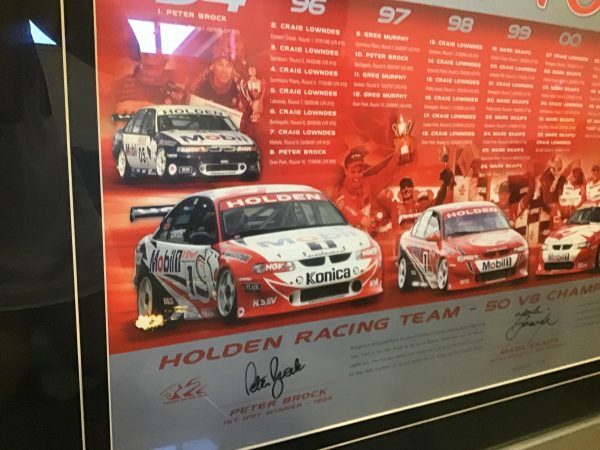 Signed by Peter Brock, Mark Skaife and Todd Kelly. 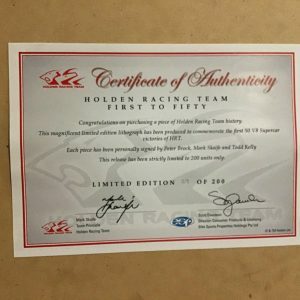 Certificate of Authenticity on back.